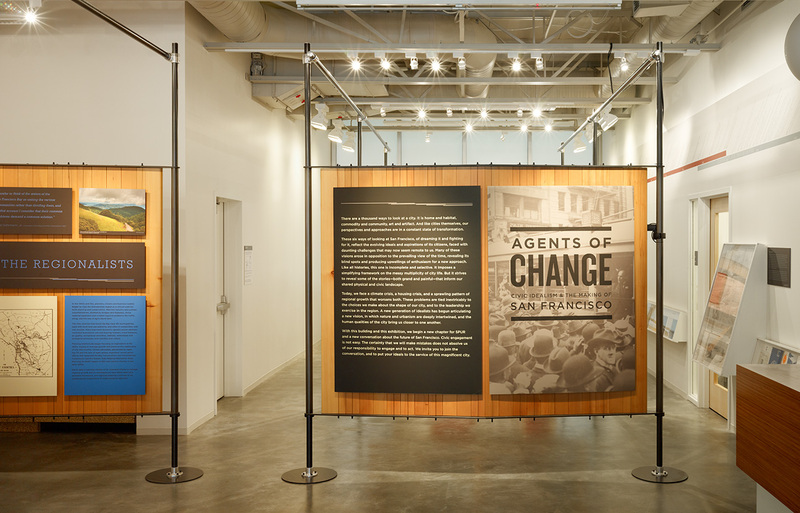 Studio Terpeluk was selected to design the inaugural exhibit ìAgents of Change: Civic Idealism and the Making of San Franciscoî coinciding with the opening of SPURís new Urban Center in downtown San Francisco. 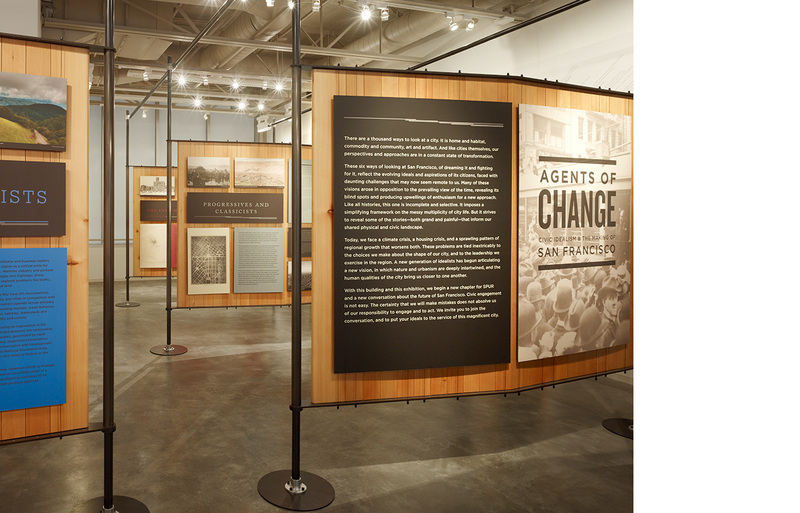 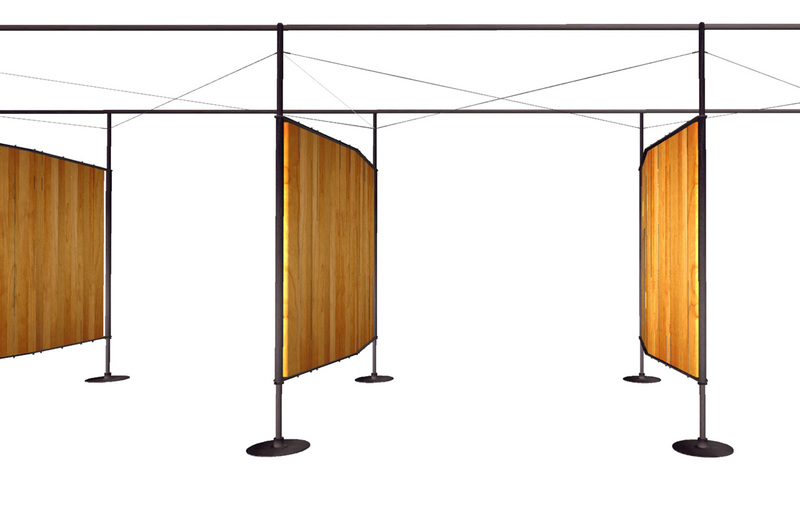 The design objectives were to create a flexible and low-budget exhibit system to meet the specific to needs of Agents of Change while being easily converted into free-standing movable panels for other future uses. 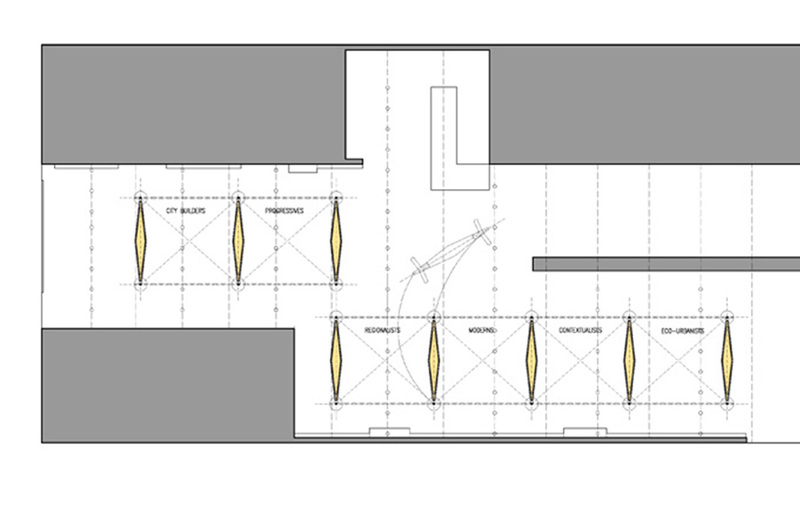 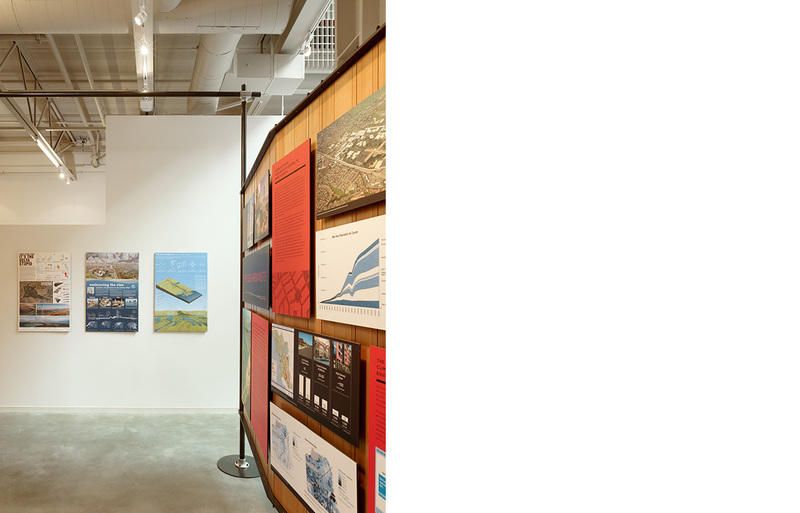 The exhibit required a sequence of six spaces for exhibit content associated with six ëgenerationsí of urban planning in San Francisco. 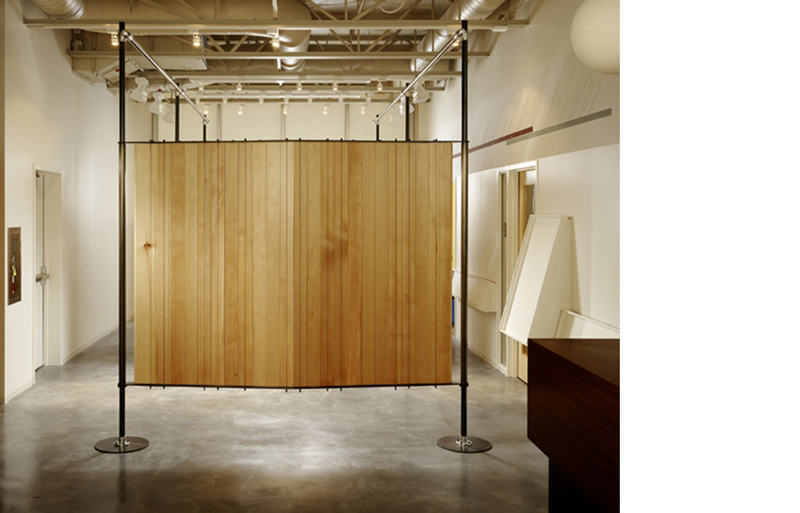 The exhibit was designed as a linear array of vertical panels which define a series of identical spaces. 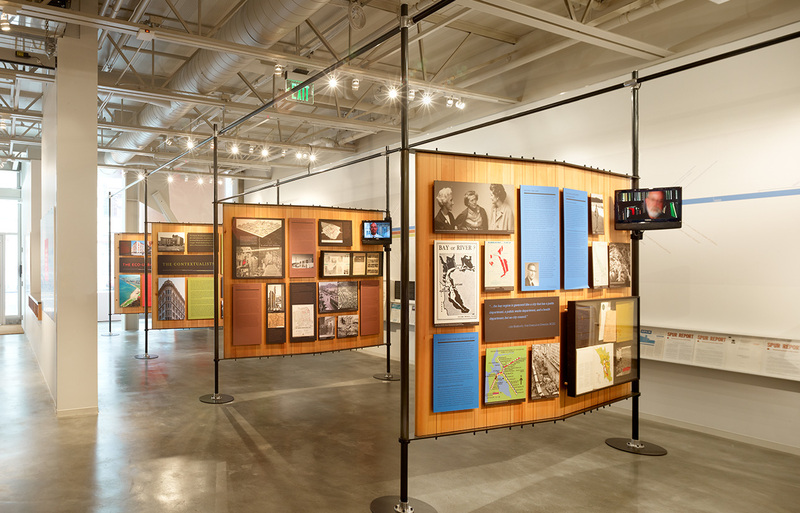 Each space, framed by two panel surfaces and an adjacent wall, was then populated by the exhibit content for each generation. 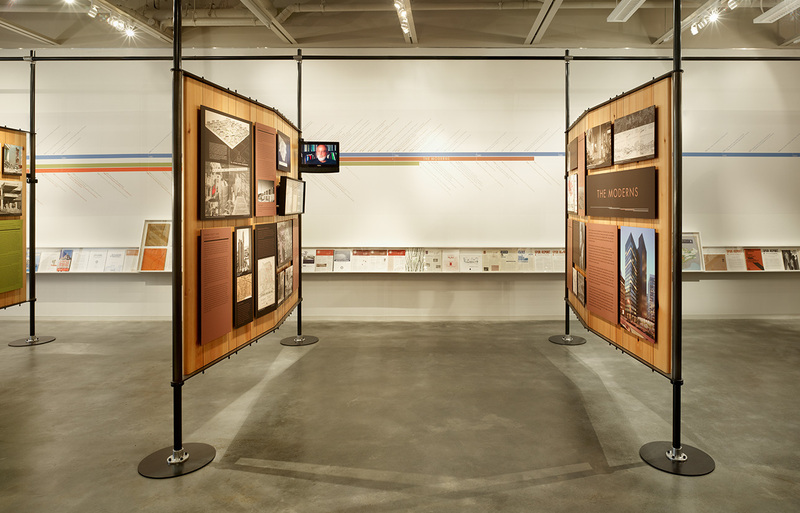 The adjacent wall was used to display a timeline of events graphically linked to the content on the panel. 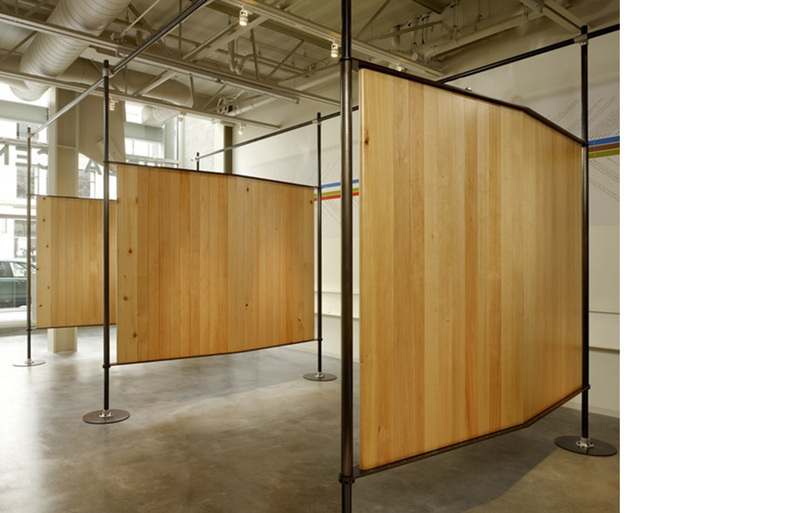 The diamond-shaped panels are clad in reclaimed local hemlock wood and blackened steel. 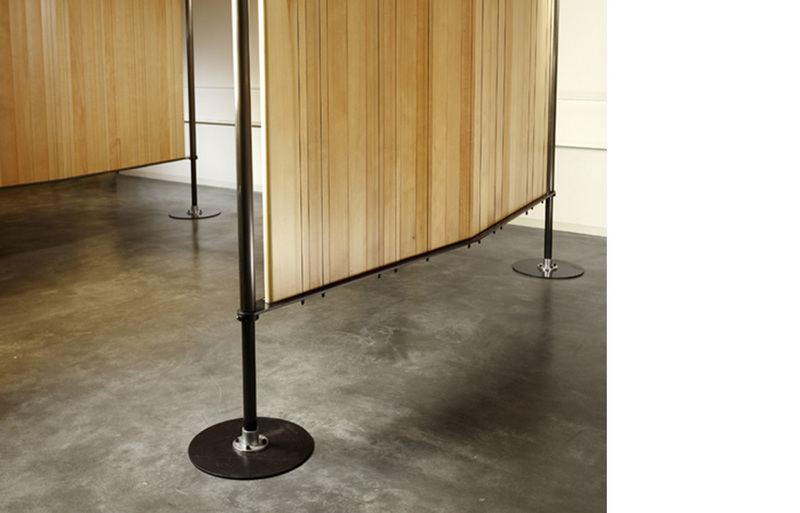 The rim of the steel frame is punctuated by holes which support an array of thin steel cables. 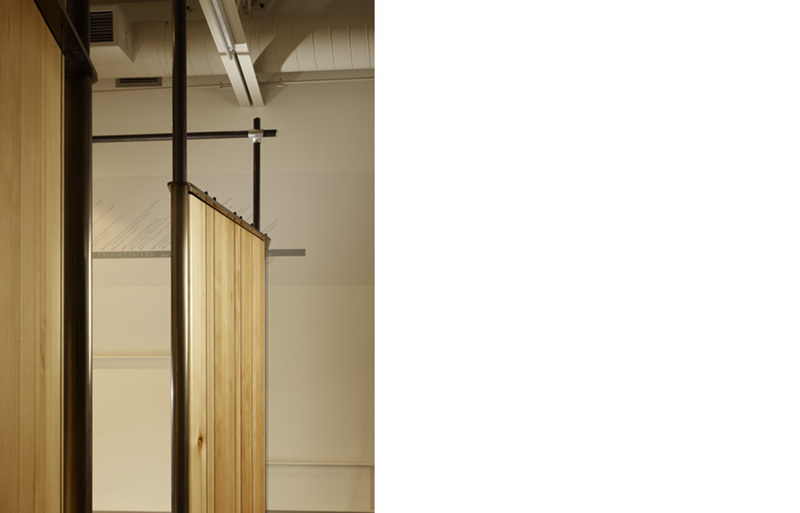 The cables are pulled taught with the use of bicycle brake cable tension adjusters. 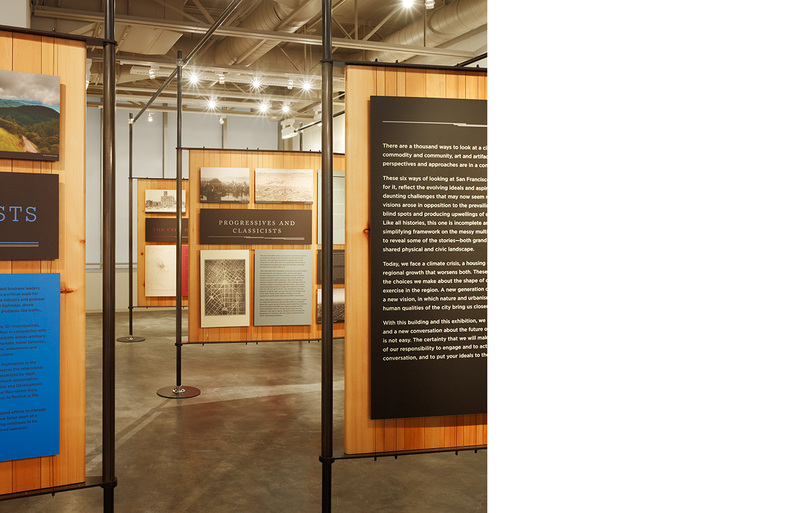 The cables allow exhibit content to float-off the wood surface creating depth of field and shadow lines. 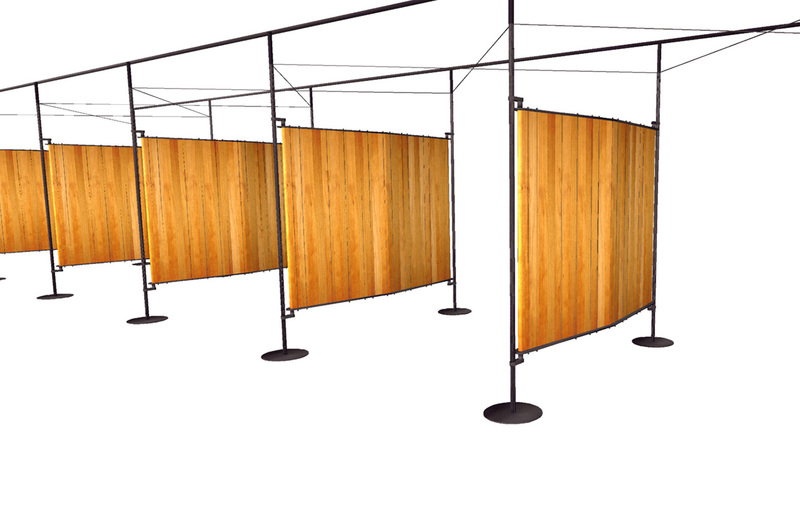 The diamond profile of the panels allows for organizational hierarchy of exhibit content. 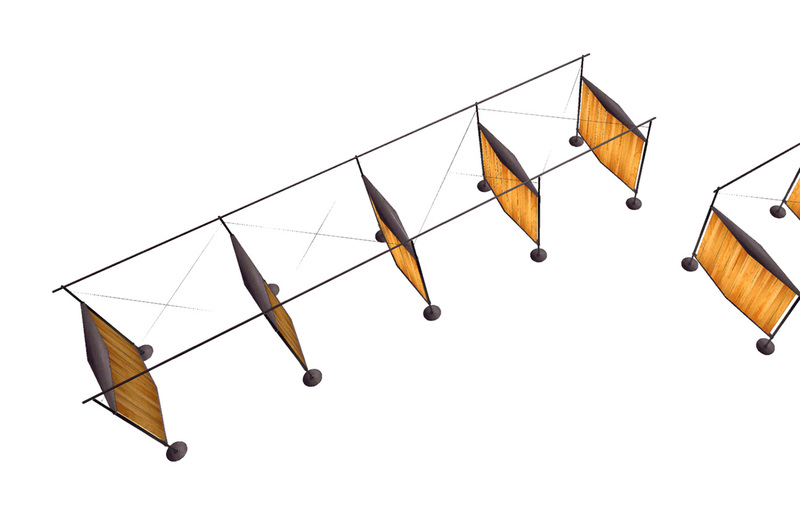 The panels are easily de-mountable from their speed-rail superstructure. 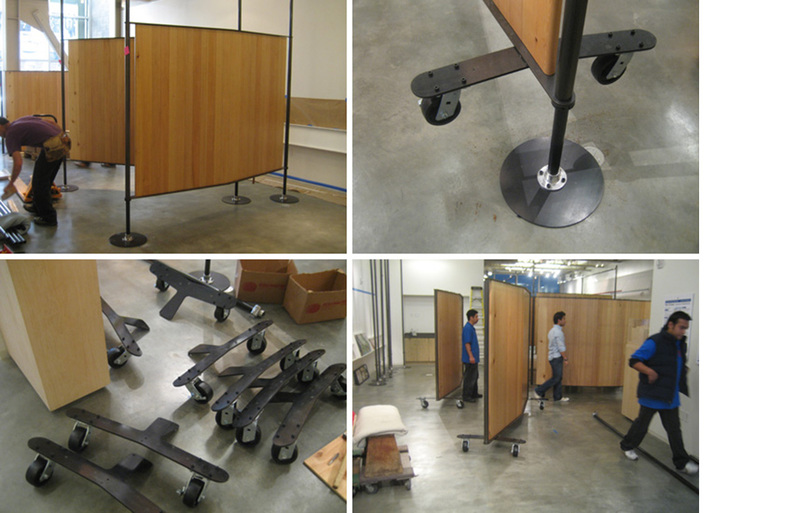 Pre-made brackets with casters can be easily anchored to the panel bases for transport or re-use. 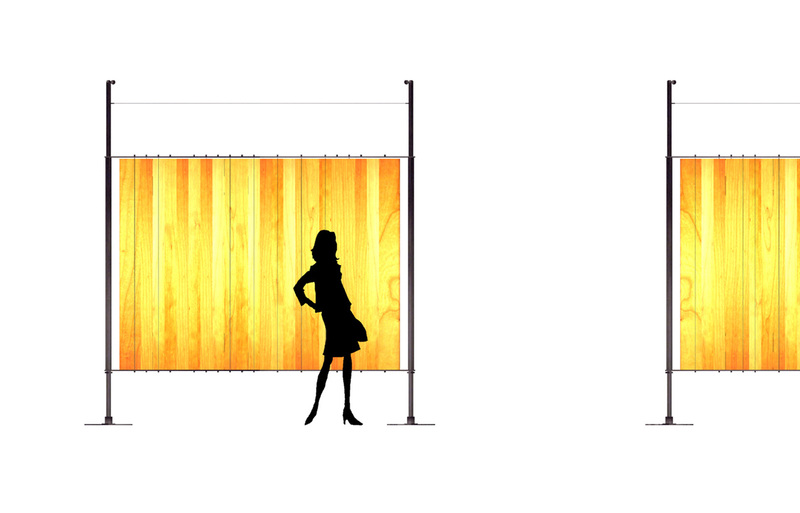 Special thanks to Carla de Mas for her volunteer help.